Police raided the home of the 50-year-old suspect in Drauniivi village in Ra. Police found 200 rolls of dried leaves wrapped in aluminium foil believed to be marijuana. 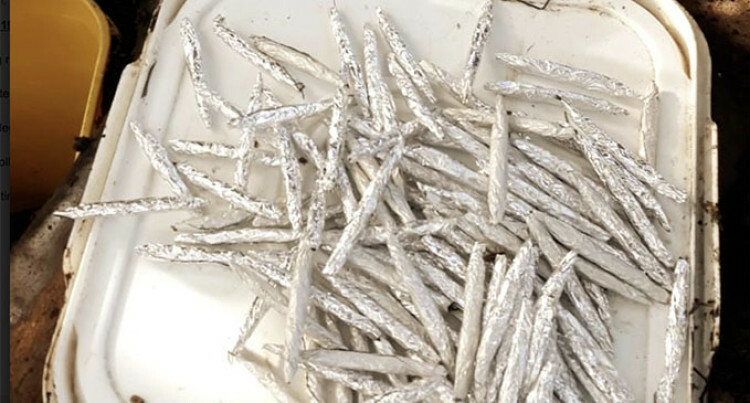 An early morning raid conducted yesterday in the Western Division resulted in the seizure of more than 200 rolls of dried leaves wrapped in aluminium foil believed to be marijuana. A Police statement said the team that conducted the raid consisted of officers from the Western Division Taskforce and the K9 Unit. The rolls were allegedly found stashed in a bucket and buried under ground. $4000 was also found during the raid. 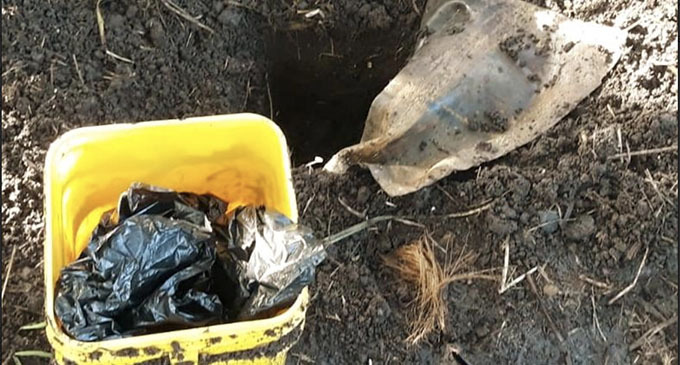 The bucket which contained the rolls was buried underground near the home of a 50-year-old suspect in Dravuniivi, Ra.